The war between Pergamum and Cappadocia on the one hand and Pontos on the other continues. The plague ravaging Italy again claimed many lives this year. Among the victims were the consul Gaius Calpurnius Piso and the praetor Tiberius Minucius. Not much later, several priests also died, and so did the former praetor Publius Manlius, fresh from his victories in Spain. When the rex sacrorum passed away – a rather obscure priesthood from the early days of the Republic – there was a dispute about his succession, as the office was deemed incompatible with that held by one of the candidates, i.e. that of duumvir navalis. Objections had been raised by the pontifex maximus Gaius Servilius Geminus, who had himself been elected just three years previously. Unfortunately, the plague also claimed his life later this year. Marcus Aemilius Lepidus was elected as his successor. 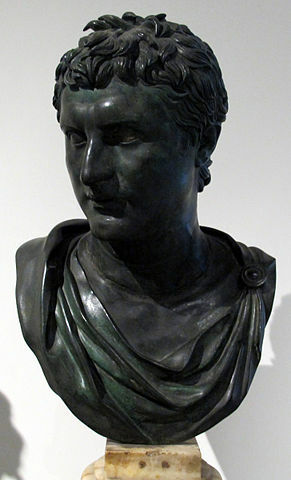 Publius Scipio, son of Scipio Africanus, was co-opted by the college of augurs. To appease the gods, the decemviri sacris faciundis were ordered to consult the Sibylline Books, while the sole surviving consul Aulus Postumius Albinus Luscus was given the task of promising rich gifts to Apollo, Aesculapius and Salus and consecrating gilded statues of these deities. Two days of public prayers were held. But some were beginning to suspect foul play. Especially the death of the consul Piso aroused strong suspicion. 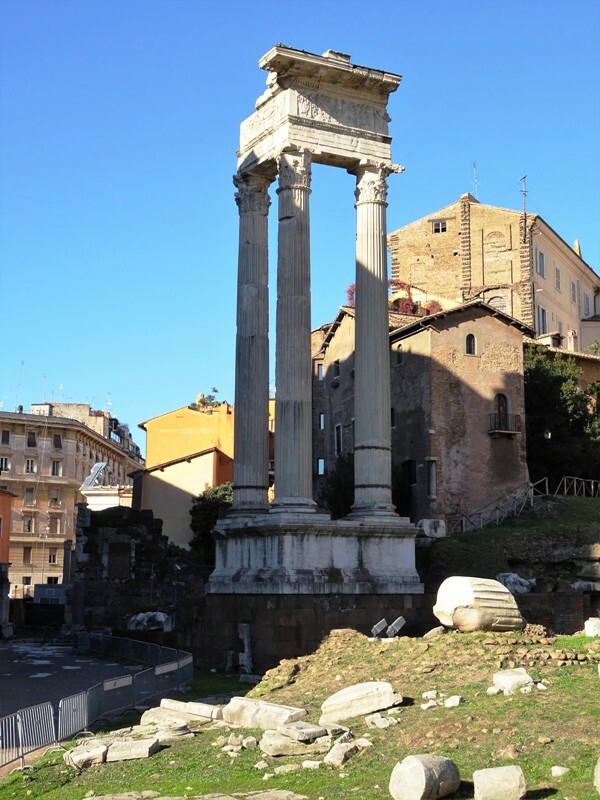 Some accused his wife Quarta Hostilia of having poisoned him, especially now that her son Quintus Fulvius Flaccus – the consul’s stepson, not to be confused with the propraetor fighting in Spain (see below) – was elected suffect consul. Hostilia was ultimately found guilty of murder and probably turned over to her family to be strangled. Even though public life was dominated by the plague, the Romans found time to have the popular assembly pass a new law regarding the election of certain magistrates, the Lex Villia Annalis. The law had been proposed by the people’s tribune Lucius Villius and aimed to lay down minimum age requirements for holding the public offices of aedile, praetor and consul (the minimum ages are not mentioned explicitly; they are thought to be 36, 39 and 42 respectively). The exact backgrounds of the law are rather obscure, and it is not clear whether the Lex Villia Annalis merely codified existing customary law or introduced genuinely new regulations. But even though the Romans would sometimes ignore the new law, especially when faced with dire circumstances, the Lex Villia Annalis can still be seen as a milestone, as it streamlined the system of the cursus honorum. There was much success for the Romans on the battlefield this year, and it came at a high price for the losers. Now that the consul Piso had died and his colleague Postumius was busy levying fresh troops, the war against the Ligurians was left to the proconsuls Publius Cornelius Cethegus and Marcus Baebius Tamphilus. They invaded the territory of the Apuani, who had not been expecting an attack while the consuls were still in Rome. The Apuani quickly surrendered without a fight. Cethegus and Baebius now took drastic measures: 40.000 men, women and children were deported from Liguria to Samnium. There they were resettled on Roman public land (ager publicus) that had been taken from the Samnite city of Taurasia. The state covered the costs of this forced migration, apparently 150.000 silver denarii, but that did little to soothe the Ligurian pain of having to leave their homeland and the tombs of their ancestors. The Romans cared little; they were clearly tired of having to fight these people year after year. Cethegus and Baebius were awarded a triumph for their bloodless victory. 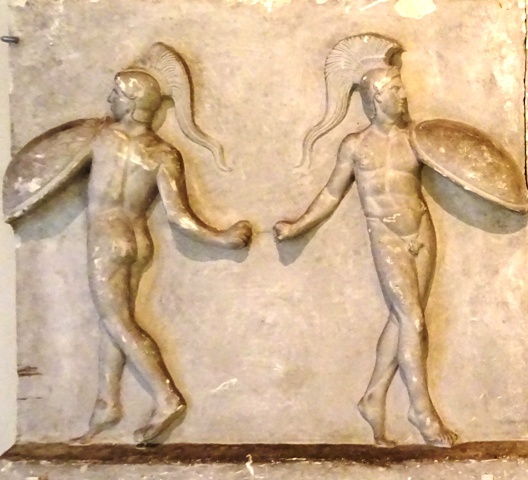 According to Livius, “these men were the very first to enjoy a triumph without having been engaged in a war”. Later this year, the consuls would also campaign in the territory of the Ligurians, deporting a further 7.000 of them to Samnium. 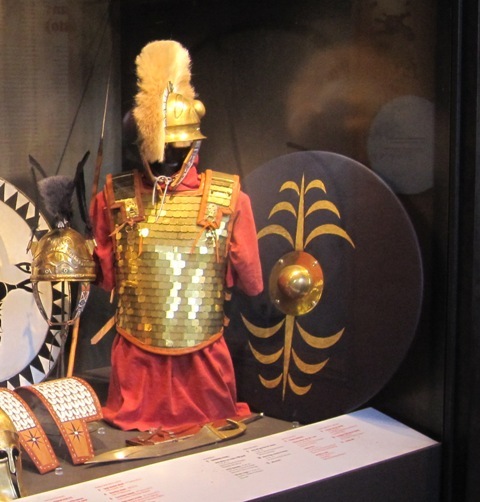 Equipment of a warrior from Picenum. The Piceni were Roman allies and served in the Roman armies. In Campania, Cumae was given the right to use the Latin language for official business, alongside Greek. The citizens of Pisa – a city with Etruscan roots that served as a staging point for Roman expeditions against the Ligurians – now offered the Romans land for the founding of a colony in this part of Italy. The Senate was very grateful, and decided that a Latin colony was to be founded here. There was a fierce discussion in the Senate this year about the armies in Spain. The propraetor Quintus Fulvius Flaccus, who had won great victories in Hispania Citerior the previous year, had sent a legate and two military tribunes to Rome to ask for permission to bring his army home. If the request were granted, he would no doubt ask for a triumph too. 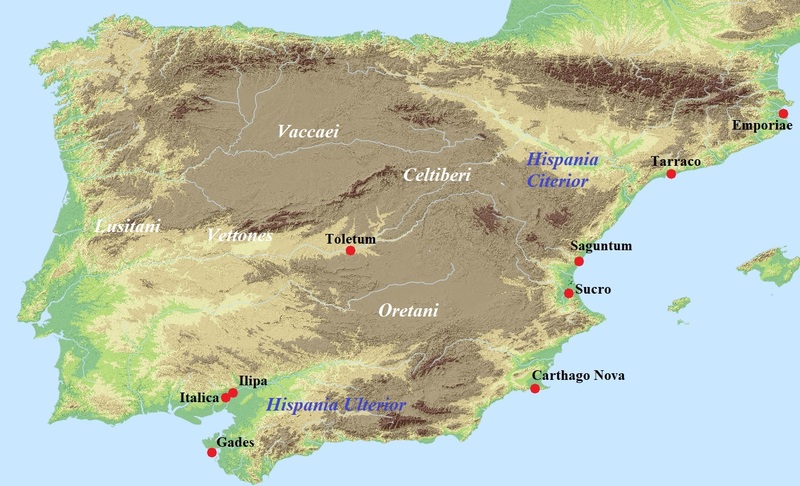 The province of Hispania Citerior had, however, been granted to the new praetor Tiberius Sempronius Gracchus, and he was loath to see the experienced soldiers leave his province. Gracchus therefore vehemently opposed Flaccus’ request in the Senate, and stated that if he were sent to Spain with green recruits, he would just have his army sit in its winter quarters. In the end, a compromise was reached, which was broadly the same as that of 184 BCE. A new legion was raised for Gracchus to take to Spain, and several thousand new soldiers were recruited among the Latin and Italian allies. At the same time, Flaccus was given permission to take some of his veterans and men who had shown great bravery home with him, provided that he left enough troops in his former province for his successor. Since Spain was far from Rome and it took Gracchus a while to reach his province, Quintus Fulvius Flaccus had started a new offensive against the Celtiberians. Then he received a message to take his army back to Tarraco on the coast, so that Gracchus could discharge the veterans and reassemble the army. The Celtiberians, who had already set a trap for the propraetor in a mountain pass, misinterpreted his sudden departure: they believed that Flaccus was fleeing. Confident of victory, they attacked the Roman column from two sides as it was marching through the pass. The ambush could have easily resulted in an ignominious Roman defeat, but these were veterans from many campaigns, and more importantly: they were led by Quintus Fulvius Flaccus. The legions and the Latin and Italian allies held their ground well, but the Spanish auxiliaries were hard-pressed. The Celtiberians formed up in wedge formation (cuneus) again and tried to break through the Roman lines. They almost succeeded, but Flaccus managed to stop their attack by having his cavalry charge their flanks. This indicates that the pass was not that narrow, and that there was some room for cavalry manoeuvres. Celtiberian morale was now broken and the enemy fled in all directions, with the cavalry of the Italian allies in hot pursuit. An elated Flaccus promised a temple to Fortuna Equestris and games to Jupiter Optimus Maximus. Livius claims that 17.000 Celtiberians were killed and 3.700 captured, figures that seem a bit too high. However, he also claims that the Romans lost 472 men and the Latins and Italian allies 1.019. These numbers are very precise, and they may have come from an official battle report. Some 3.000 Spanish allies who had fought for the Romans were also killed. These figures clearly demonstrate how Rome’s allies often bore the brunt of a battle and suffered disproportionate casualties. Flaccus led his victorious army to Tarraco, where he met with Gracchus, who had arrived two days ago. Gracchus took command of the army and Flaccus sailed home with the veterans who had been given their discharge. He would be awarded a well-deserved triumph for his victories. 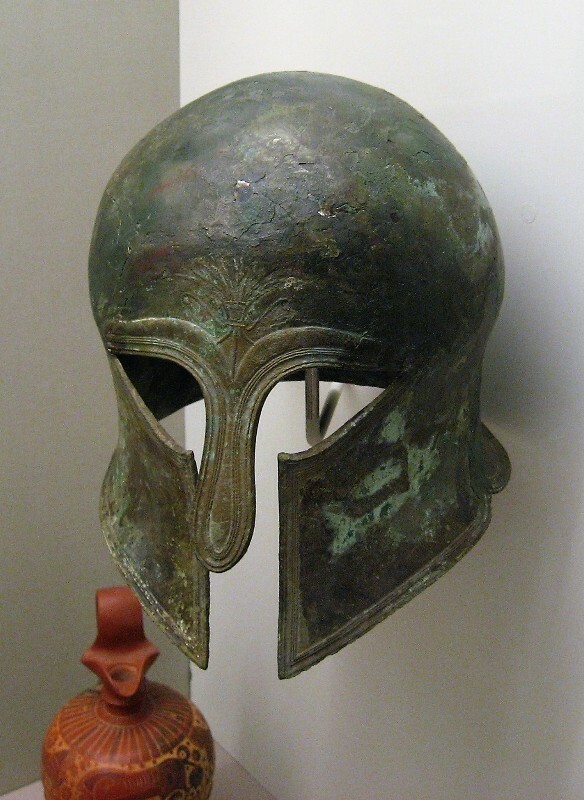 Even though it had re-joined the Achaean League, there was still much unrest in Sparta. A young man with populist tendencies named Chairon had begun stirring up trouble, propagating land reforms and subsidies for the poor. Taking money from the treasury at will, Chairon was confronted by several auditors of the treasury and had one of them, a certain Apollonidas, murdered in broad daylight as he left a bath house. This prompted a military intervention by the Achaean League. Chairon was arrested, tried and incarcerated. But there were tensions within the Achaean League itself as well. The League’s foremost leaders found themselves in disagreement about which position to adopt vis-à-vis Roman demands. The Romans had asked the Achaeans to allow a group of Spartan exiles to return to their homeland, but this had been refused by the League authorities. A group led by Lykortas wanted to stick to this decision, but found itself opposed by a group led by Kallikrates and Hyperbatos, the current strategos. These two wanted to yield to the Roman demands. A diplomatic mission was sent to Rome to inform the Senate about the position taken by Lykortas and his allies, which seems to have been the majority opinion within the League at that moment. However, Kallikrates was one of the envoys and after arriving in Rome in the summer, he immediately began vilifying his political opponents and criticising the Senate for being much too soft with regard to enforcement of their demands. The senators immediately realised that men like Kallikrates, with their outspoken pro-Roman attitude, were much more useful than men like Lykortas, who wanted to be on friendly terms with the Romans, but who also tried to preserve the League’s independence. Lykortas’ position within the League came under severe pressure when, in the autumn of this year, Kallikrates was elected as the new strategos. He immediately allowed the exiles to return, but whether his election can be seen as a turning point in the Roman-Achaean relations – which Polybius suggests, but he is not an impartial source, as Lykortas was his father – is very much up for debate. In the meantime, in Asia Minor, hostilities between Pergamum and Cappadocia on the one hand and Pontos on the other had resumed after the expiration of the armistice. King Pharnakes of Pontos had his general Leokritos invade Galatia, which was under Pergamenian control, with an army of 10.000 men and made plans himself for an invasion of Cappadocia. But King Eumenes and his brother Attalos, fresh from his trip to Rome, launched a counterattack into Pontic territory. They were joined by Eumenes’ father-in-law, King Ariarathes of Cappadocia. Then envoys from Rome arrived and hostilities were again suspended, with the Pergamenians withdrawing their forces. The envoys failed to reach a peace agreement, with Polybius putting the blame on Pharnakes, who was allegedly frustrating the negotiations. The war would continue for another year.